Welte Cardan Service manufactures propshafts in the demand, either singularly or in small manufacturing batches. Our customers can rely on a complete service covering the creation, production and repairs of our products, including an analysis of the requirements, the designing of a prototype and an offer for mass-produced parts. All our propshafts are assembled with the help of original parts from OEM suppliers such as Dana Spicer, GWB, Klein, Kempf, and Elbe, who supply parts to the automotive and other industries. As a result, our propshafts are perfectly precise, offering recognised reliability to companies engaged in preparation and construction. 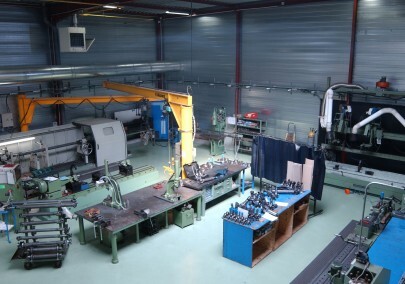 The customers of Welte Cardan Service can take advantage of the expertise of a design department that uses appropriate computation software for the complete design of kinematics chains, lifetime calculations, verification of inertia and torsion excitations etc. Feel free to give us your requirements. We will put our experience at your service. 3>Click submit the form and we will send you a response to your request as soon as possible to you. « The information collected above is intended for WELTE CARDAN-SERVICE, Person in charge of the processing of personal data, in order to respond to your requests for information. The provision of this data is necessary to enable your request to be processed. This data will be used solely for this purpose and will not be transferred to a third party, except our technical service providers.